This beach is a popular fishing location made up of two beaches, Waiakalua Iki Beach and Waiakalua Nui Beach. Waiakalua Nui is just slightly east and is covered with beach rock. A rocky point separates the beaches. This beach is dangerous for swimming and water activities, however the scenery is breathtaking. You will usually find very few people at this beach, medium course sand and a long fringing reef. 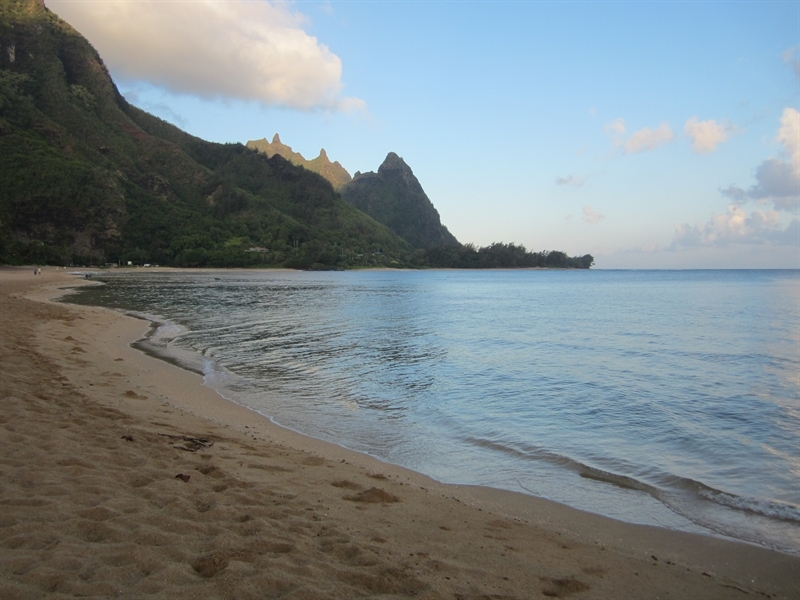 Most likely you’ll be the only ones on this North Shore beach. Nearby trees provide shade and a fresh water spring at the far end is good for cooling off or refilling your water bottle (of course use tablets). Some snorkeling can be done at this beach, however only in the summer on the most calm days. The water is shallow but interesting. However, this beach is known for rip tides, so be sure you are very cautious if you decide to go in the water. If you do snorkel (experts only) near the rocky point you may find clear water and interesting fish and reefs. Rips, surges, and surf make this a black diamond area. Swimming at this beach is hazardous and generally very dangerous. Only on the most calm summer days should you even consider getting in the water. Rip tides are present most of the time. Near the rocky point watch for more rip tides, large surges, and rough surf. Hello! 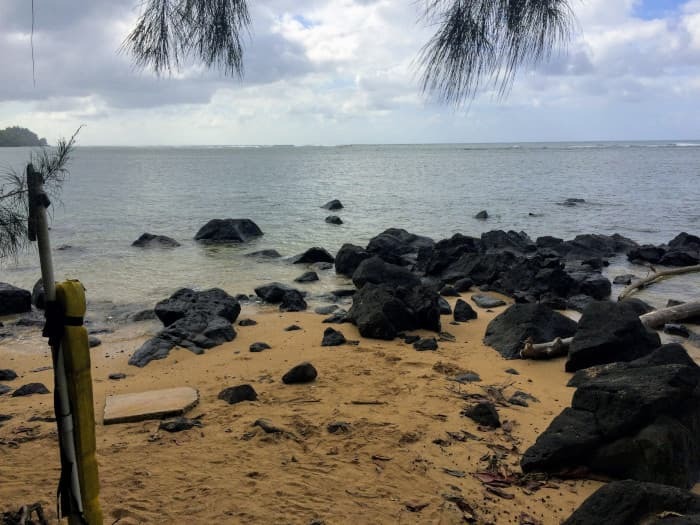 I'm interested in the Waiakalua Beaches property, with the URL https://www.kauaibeachscoop.com/listing/waiakalua-beaches/ and I'd like to be contacted for more details. Your Phone Your Email Captcha: 4 * 4 = ?